The Ghost Walks! - a bright, cheerful and incredibly positive slot in the best traditions of Halloween. The action takes place in an old abandoned castle, where not a single dozen ghosts and spirits live. In the endless dark and gloomy rooms and corridors of the old castle is inhabited by the shadows of its former masters and servants who once worked in this house. But in fact, everything is not so scary, but even very positive! You can get excellent winnings if play online for free and without registration in the slot machine BELATRA The Ghost Walks! In this game 20 lines and 5 reels are the best combination for a good game. All additional games will bring real big wins. Funny ghosts, periodically flying across the screen and changing the symbols, will increase the amount received even after stopping the reels. And the variety of languages ​​on which this game is available (11 of them!) will allow us to reach the largest possible audience. The ghost in the chain is a scatter-symbol of this game. And if somewhere you will find a dark room, in which several ghosts are imprisoned at once, you will be lucky person. You will have bonus games. Their number directly depends on how many scatter ghosts you found: for 3, 4 or 5 special characters you will get 5, 12 or 25 bonus games respectively. 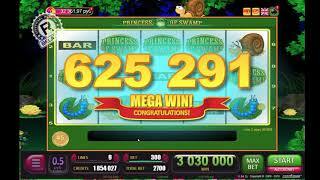 Prize rotations of the reels occur automatically using the same number of lines and the same bet as in the main game. Free games can be repeatedly invested in each other, but there can be no more than 300 of them. The double "Black-Red-Mast" will help to double the winnings that you will get in the main game or during the prize free spins of the reels. Having guessed the color of the card (red or black), you will double your win. And if you can guess what the suit of the card is, the winning amount will be increased in 4 times. Slot machine Belatra The Ghost Walks! - the most gay adventures with ghosts! But if you do not celebrate Halloween, you can always choose another game for your taste. 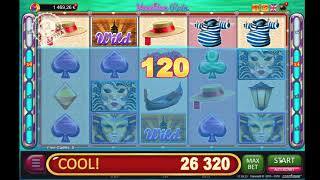 For example, the slot machine BELATRA Piggy Bank online. OrLucky Drink – play online for free and without registering you can directly on our website.